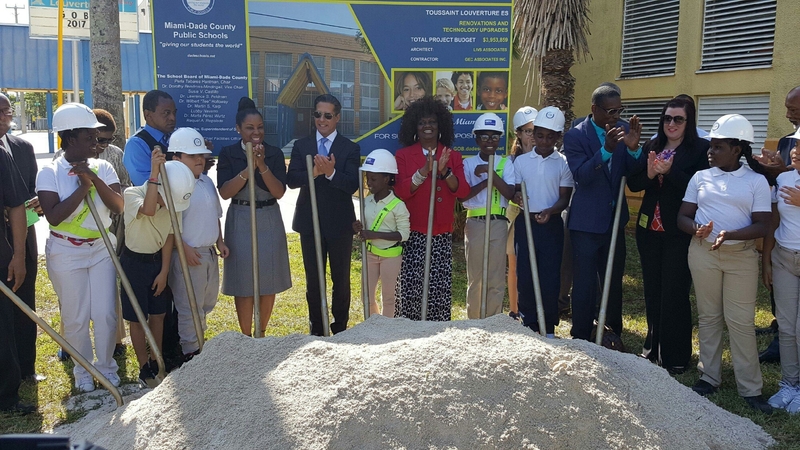 District 2 School News – School Board Member Dr. Dorothy Bendross-Mindingall (D-2) celebrated the GOB Project Groundbreaking at Toussaint L’Ouverture Elementary School. The voter approved GOB will invest $4 million dollars to fund the following improvements: classroom technology, demolition of portables, new covered walkway, restroom renovations, HVAC replacement, exterior painting, new chiller and cooling tower plant, new media center rooming and flooring, replacement of exhaust hood and gas piping in kitchen, selective interior painting, and other upgrades. Thanks to Principal Marchel Woods, administration, teachers, staff teachers, and parents for educating our students. Go Tigers!